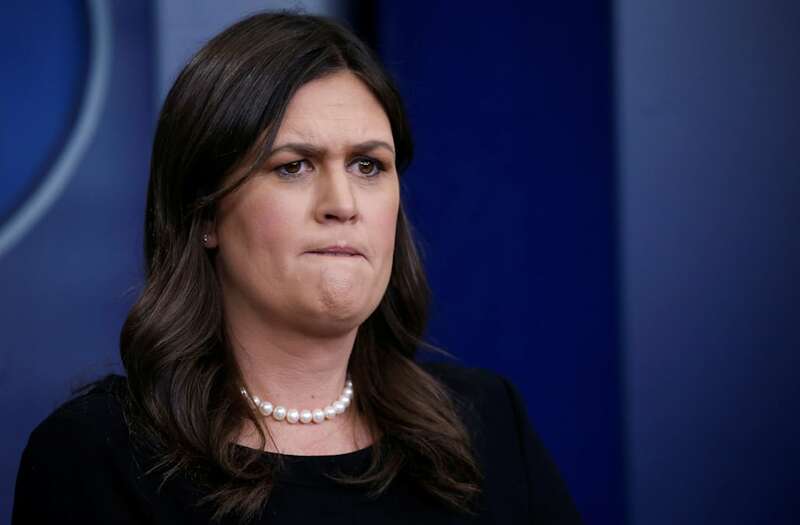 White House press secretary Sarah Huckabee Sanders violated ethics law when she used her official White House Twitter account to complain about being kicked out of a Virginia restaurant, according to the former head of the U.S. Office of Government Ethics. Walter Shaub, who left the Trump administration a year ago after five years as head of the ethics office, posted an annoyed tweet in response to Sanders’ comment, pointing out that it’s a “clear violation” of federal ethics law to name a specific business with the intent of personal gain or retaliation. He compared Sanders’ White House tweet to a federal law enforcement officer who pulls out a badge at a restaurant in a similar situation. In an interview Sunday on CNN’s “State of the Union,” Rep. Barbara Lee (D-Calif.) called upon the Office of Government Ethics to investigate Sanders for using her official Twitter account to attack the restaurant. Shaub cited the federal law 5 CFR 2635.702, which prohibits government employees from using their position for personal gain or for endorsing a product or business. He said the corollary — using a government position to punish an operation by “discouraging patronage”— is also illegal. Also, 5 CFR 2635.101, which details the “basic obligation of public service” requires that employees “shall act impartially and not give preferential treatment to any private organization or individual.” Sanders can “lob attacks on her own time but not using her official position,” Shaub wrote. Former Obama administration White House lawyer Ian Bassin agreed on Twitter that Sanders’ tweet “violates federal ethics rules.” At the White House, “we trained all staff they couldn’t use their WH titles or resources (like Twitter acct) for personal uses,” he tweeted. The Red Hen has been embraced by Trump administration critics but slammed on social media by supporters of Trump and Sanders. Sanders has not responded to Shaub’s accusations. Singling out private businesses for attacks from the White House is something Sanders’ boss has done often. Donald Trump has lashed some 16 businesses, including Amazon, Boeing, Delta, General Motors, Lockheed Martin, several media companies and Nordstrom — after it dropped a product line owned by daughter Ivanka Trump. Richard Painter, who was the chief ethics lawyer during the George W. Bush administration, said that Trump’s attacks on Amazon could amount to market manipulation under U.S. securities laws and he could be vulnerable to lawsuits by stockholders. Painter believes Trump’s complaints about the price Amazon pays the US Postal service for deliveries is a cover for his fury against the often critical Washington Post, which is owned by Amazon CEO Jeff Bezos. “It is a violation of federal securities laws to knowingly, or with extreme recklessness, make false statements about a publicly held company when you know that that could impact the stock price,” Painter said earlier this year in a radio interview with the Canadian Broadcasting Corporation. “I would think that the president should comply with the securities laws, comply with the ethics laws and the United States Constitution just like everyone else,” he added.